I have discovered many interesting things on my adventures. One of the most unexpected has been that adventures come in different shapes and sizes. People don’t usually think of adventures in this way. They only think of “where”, especially if it is an exciting new place to see. It is true that I’ve had adventures like this, but I have also had ones that don’t fit this pattern at all. You can visit a city that you think you know, only to discover you really didn’t know it at all, because other areas of the city are so different. The second visit is like a new adventure. Then, if you visit a city often enough, you eventually see it all, and even begin to know the people. It almost feels like you are living there. When this happens, it becomes a new kind of adventure. And of course, you have a completely different type of adventure if you actually move to a new city and make many new friends. All of these are adventures, even though each one is different. However, they all have one thing in common; they revolve around a single destination. That all changed with my latest adventure. When my traveling companion told me we were going on another adventure, I looked him straight in the eye and said “it’s about time”. The first year after I left Geneva was filled with many adventures. When summer came, and we took a break from our travels I was surprisingly pleased. It was great to just sit by the pool, relaxing in the sun. When I began to get bored, there were always video games in Duncan’s room. It was a welcome change. But I began to have second thoughts when days stretched into weeks and finally into months. The final insult was when my traveling companion forgot to wake me before his trip to Philadelphia. He said it was my fault for sleeping in. He even tried to convince me I really didn’t want to see the Liberty Bell, since it was cracked anyway. I was still furious, and when I had the chance to go to Vancouver without him I jumped at it. Two can play that game. So when he finally mentioned a new adventure, I pretended to ignore him. Then he mentioned that the trip was to Paris, and suddenly all was forgiven. I told him that I’d never been to Paris, even though I’d grown up in Geneva. 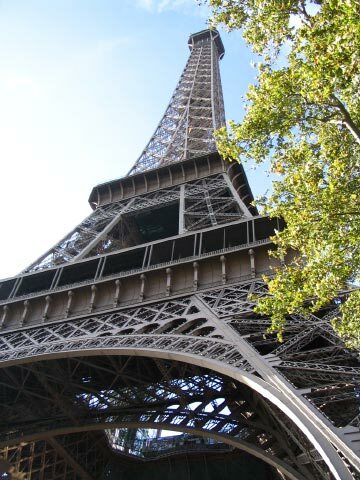 I’d always wanted to see the Eiffel Tower, the Arc de Triumph, the Louvre… My traveling companion stopped me, and said it wasn’t just a trip to Paris. When he told me that we were also going to London, I got even more excited. My mind was racing with the possibilities. 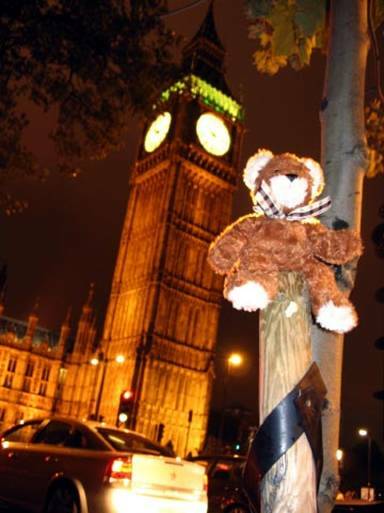 The tower of London, Big Ben, Banana Quick – I could hardly wait. But when he told me that we were also going to Boston, I began to be concerned. I asked him how long it would take for an adventure that included all these wonderful cities. When he said we would only be gone for five days, I gave him my best “you must be mad” look. He assured me that it would only be five days. I assured him that he was mad. 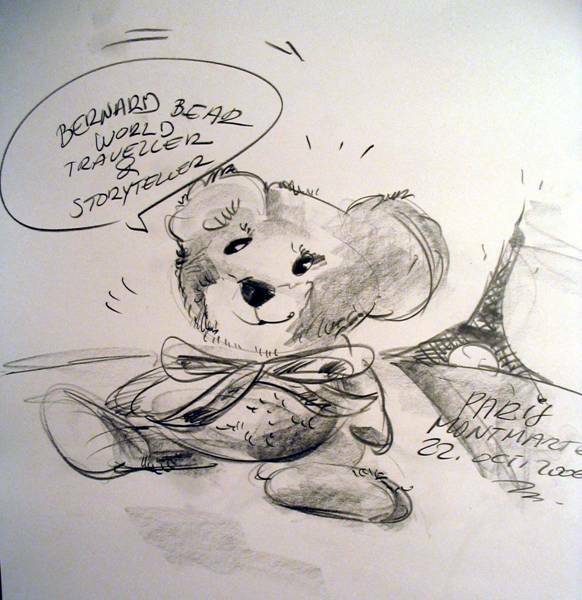 But I smiled when I suddenly realized I had discovered a new kind of adventure – the “whirl wind tour”. When I told my friends, they all said I should just stay home. I have to admit that part of me thought they might be right, but it really wasn’t an option. I decided long ago that if I wanted adventures, I should be willing to have all kinds. In the end I was pleased to discover it isn’t as insane as it sounds. That’s good, because it definitely sounds insane. I slept soundly on the plane. There aren’t many things where being small is an advantage, but flying is definitely one of them. I made a comfortable bed in my traveling companion’s computer bag, and settled in for the night. Unfortunately, it was a very short night, and before I knew it we were waiting for our luggage at Charles de Gaulle airport. From there it was a short train ride into the center of the city. Paris is a beautiful city, with the Eiffel Tower, the Louvre, and many other well known sights. There are even wonderful signs for the Metro. When I saw one, I loved it, and decided to do the tourist thing and have my picture taken in front of it. Even with a bit of time spent playing tourist, we were still at our hotel by 10:30 in the morning, so of course our room wasn’t ready. Fortunately, I wasn’t tired, and suggested we spend the day seeing Paris. I wanted to see was the Eiffel Tower first, and it wasn’t long before we spotted it. The sun was shining and it really didn’t look like the Eiffel Tower was all that far away, so I suggested we walk. Actually, I suggested that my traveling companion walk and that I ride on his back, but you know what I mean. It turned out that it wasn’t as close as I thought, and it took quite a while to get to it. When we finally got closer, I realized that it was actually a lot taller than I had thought. Looking up at it, I felt a strange sensation, but I couldn’t quite put it into words. My traveling companion was tired and wanted to take a break, but I felt restless. While he caught his breath, I went to have a closer look. Suddenly I knew why I’d felt that strange sensation. I realized what a great view of Paris you would have from the top of the Eiffel Tower. It was very tall, but I was confident that I could climb it. I’m sure I would have made it too if my traveling companion hadn’t stopped me. I enjoy seeing the famous sights of a city, but what I really love is finding the little surprises that every city has. 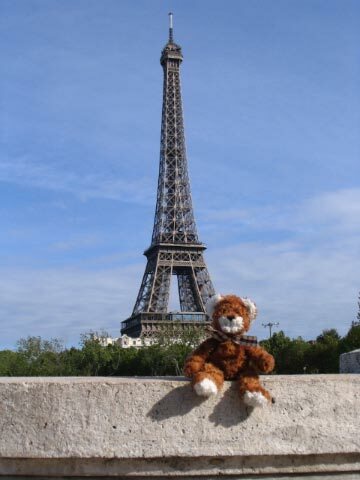 After my traveling companion stopped me from climbing the Eiffel Tower, we walked over to the Trocadero and took a moment to sit and just enjoy looking at the Eiffel Tower. I was thinking about the wonderful view I would have had from the top, when suddenly I thought I saw the Statue of Liberty. 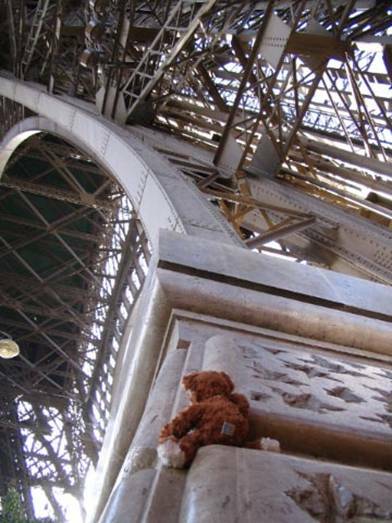 Even if I’d managed to climb to the top of the Eiffel Tower, I didn’t think I would have been able to see New York, so I asked my traveling companion what it could be. Everyone knows the Statue of Liberty is in New York City. Quite a few people know that it was a gift from France to the people of the United States. 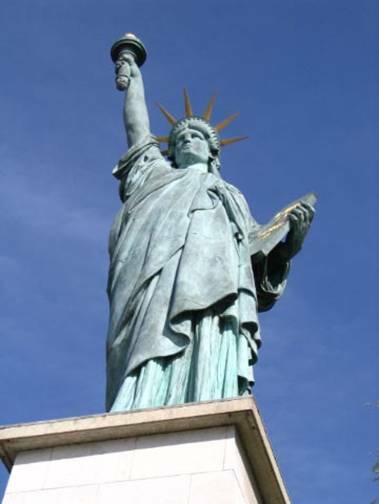 However not very many people know that there is a smaller Statue of Liberty in Paris, on Grenelle Island, in the River Seine. This statue was given to the people of France by Americans living in Paris. When my traveling companion told me this story, I thought he was making it up, so I insisted we go and have a look. Sure enough, there it was, right in the middle of Paris. He told me that the statue in New York is over four times as tall, but I kind of like the one in Paris. Maybe that is just because I’ve never seen the one in New York. I told my traveling companion that he really would have to do something about that, but he pretended he didn’t hear me. When I say that I love finding the unknown sights in a city, this is exactly the kind of thing I mean. 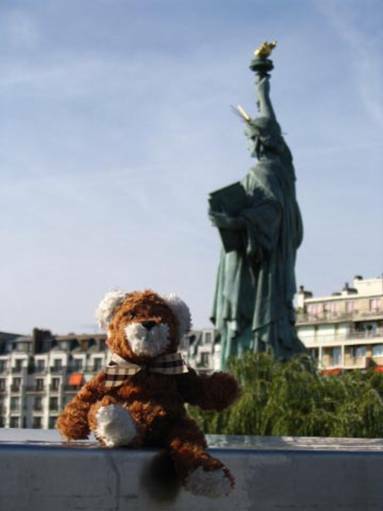 Here I was in Paris on a sunny afternoon, enjoying a perfect view of the Statue of Liberty. In a way it was very strange, but that is what made it a perfect, unexpected, adventure. 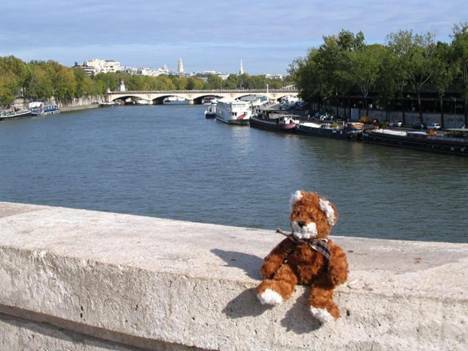 We sat for a long time on the small island in the middle of the Seine, just watching the people. We saw couples, young and old. We saw students studying for exams by the river. We saw artists, painting the bridges and the river. It was wonderful. After a while I suggested we go onto one of the bridges, to have a look. The river is beautiful from the bridges and I took more time to sit and enjoy. 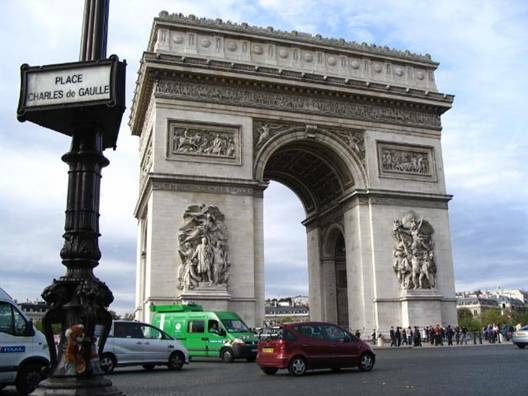 Next we went to the Arc de Triumph, and of course I wanted to climb it too. I was all set to run across the traffic, but as usual my traveling companion wouldn’t let me. I think he needs to lighten up. The day was still young, and I still wanted to see more, even though my traveling companion was beginning to look a little worn out. 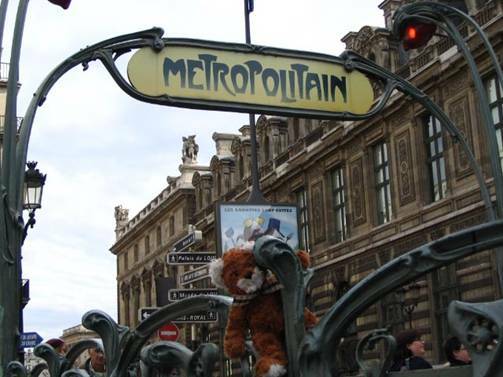 This time we took the Metro, and before long we were at the Louvre. 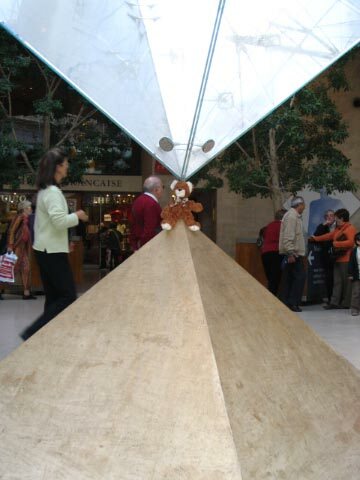 They seem to have a thing about Pyramids at the Louvre, because they are everywhere. I’ve heard that Pyramids have magical healing powers, so I thought I’d check it out. I told my traveling companion he should see if it would help him stay awake, but he didn’t want to try it. I was still feeling wide awake, even though it was late afternoon. However, I began to feel sorry for my traveling companion, so I suggested that perhaps we should call it a day. I was surprised when he said there was one more place he really wanted me to see. As we headed for the Metro, I had no idea where we were going. After a short ride, we left the Metro station and began climbing a very steep hill in the middle of the city. I kept asking where we were going, but my traveling companion refused to tell me. 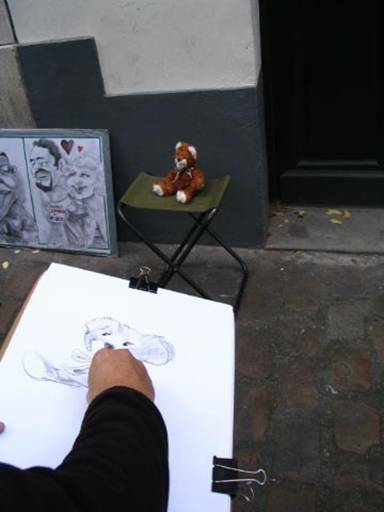 As we climbed higher, we could see more and more of Paris, and then suddenly we headed down an alleyway, and found ourselves in the square of Montmartre. I’d never even heard of it, although I was assured it is a very famous place. It was full of artists painting people’s pictures. They call them Caricatures. I was watching one artist drawing a boy’s picture, when someone asked me if I wanted to have my Caricature drawn. I hadn’t even thought of it, but I liked the idea a lot. My traveling companion could see what I was interested, and he nodded for me to go ahead. I think it turned out rather well, and I’m going to have it framed and hang it in my room. When we finished, it really was time to head back to the hotel and check into our room. I was pleased that we made one more stop at a lovely park near our hotel. Paris is a city that has many wonderful parks right in the middle of the city. This park had grass and trees and quiet places, but it also had many statues of animals. At least I think they must have been statues. Sometimes I see animals standing very still, and people think they are statues. I don’t think these were real though, because one was a dinosaur, and another was a dragon. 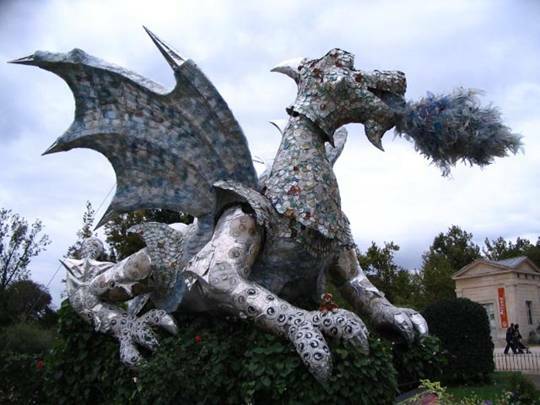 I don’t think I’d want to sit on the paw of a real dragon, but a statue of a dragon was ok. I’m sure it must have been a statue, though now that I stop to think, it did seem strangely warm when I was on his paw. By this time, even I was getting tired, and we headed for the hotel and a good night’s sleep in our comfortable, but very small, room. 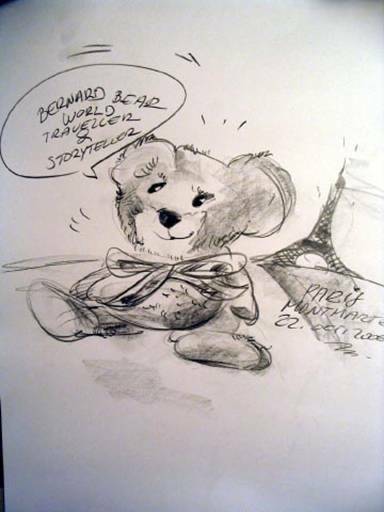 Once again I was very glad that I am such a small bear. The next morning we had breakfast, checked out of the hotel, and took the Metro to my traveling companion’s meeting. He spent the day in a conference room. The only view he had of the Eiffel Tower was on the Internet (http://www.paris-live.com/ ). Sometimes I feel sorry for my traveling companion on these trips. He visits such wonderful and interesting places, and then spends most of his time in a conference room talking to people who are also visiting from somewhere else. He could stay home and do that. It is true that he takes time to show me around, and I’m grateful for that. To be honest, I think he uses me as an excuse to see more of the city, but I don’t mind. He still doesn’t see nearly as much as I do. While he was in the conference room, I spent another pleasant day wandering around Paris, outside in the fresh air. I went back to meet him after his meeting, and we took the Metro yet again to Gare du Nord, where we caught the train to London. I know what you are probably thinking – London is on an island. That’s right; we took the train through the tunnel under the English Channel. They call it the Chunnel. As the train pulled out of the station, I took one last look at Paris. I can hardly wait until I have a chance to see it again. I have decided that the train is the best way to travel. We had large comfortable seats with a wonderful view. A light haze covered the countryside, and you could see villages and forests through the twilight mist, as if they were in a fairy tale or a dream. While we were looking out at this fantasy landscape, waiters brought dinner to our seat. It is a very civilized way to travel. 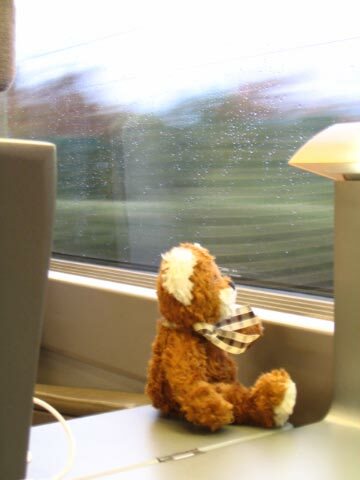 Before long we entered the Chunnel and then we were in London. It was dark, but my traveling companion said that he would show me around. After checking into our hotel, we headed for the Underground. The London Underground is a lot like the Paris Metro, except of course it is called the Underground. 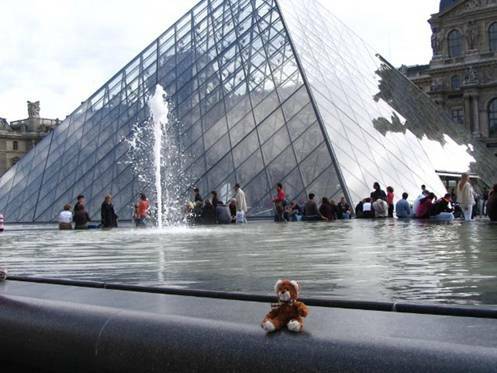 We didn’t have nearly as much time as we did in Paris, but we did manage to see some of the sights. First stop was the Tower Bridge. I asked my traveling companion if that meant it was a bridge to the Eiffel Tower, but he laughed and said no. 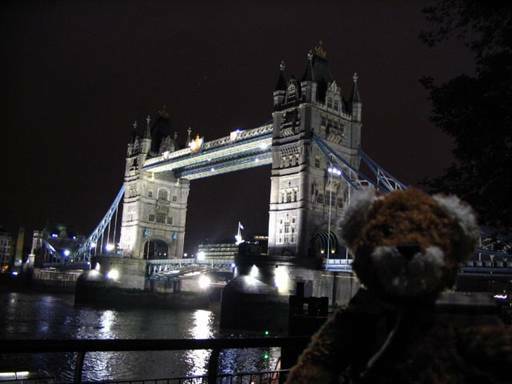 It was a bridge to the Tower of London, which sort of made sense once he explained it to me. The only problem was that I couldn’t see a tower anywhere. He told me that the “Tower of London” was actually a castle. I though I finally had it straight, until my traveling companion told me there is another confusing thing about the Tower Bridge. It is the most famous bridge in London, and is always shown on postcards. Because of this, many people think that it is London Bridge, but it turns out that London Bridge is a completely different bridge that no one ever shows on postcards. My head was beginning to hurt as my traveling companion was explaining all of this to me. He looked like he was going to explain something else, but I asked him to please stop, and just show me the bridge, no matter what it was called. Once he stopped trying to tell me the history of every bridge in London, we headed back to the Underground, and went to see Big Ben. I’d heard of Big Ben before, but I really didn’t know what it was. I discovered that it is just a clock, at the top of another tower. I was going to ask my traveling companion why the Tower of London was a castle, and Big Ben was a tower, but then I remembered how much my head had been hurting, and decided not to ask. The next day while my traveling companion went to another meeting, I went in search of my favourite English treats; Banana Quick and Rowntree’s Fruit Pastilles. I know you probably think I’m strange, but these are two special things that I’ve discovered you can only get in England. I love both of them, so whenever I visit England I make sure I get a good supply. Less than two days after arriving in London, we were on our way back to the airport, where we caught the flight to Boston. 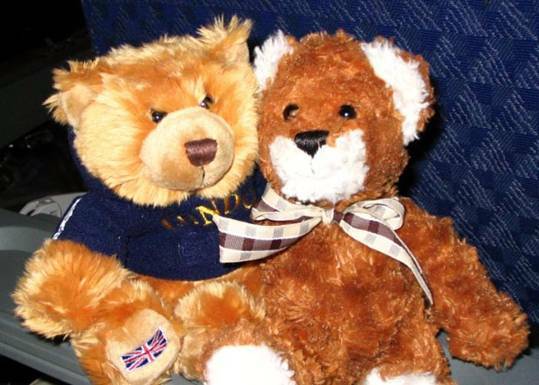 I’d intended to sleep on the flight, but as I was settling in I saw another bear hiding under the seat next to me. I went over to say hello, but he seemed very nervous. Finally he told me that his name was Engelbert Arthur Hope the third, and that he was off to see the world. His first stop had been a comfortable shelf in a shop at Heathrow airport. That wasn’t working out too well, because Engelbert had been seeing lots of people from all over the world, but not too much of the actual world. Then one day, a man in the shop stopped, and invited Engelbert to join him on his travels. Engelbert wondered how this man knew he wanted to see the world, but after a moment’s hesitation he decided it didn't matter, and he accepted. I told Engelbert that something very similar had happened to me, and for the rest of the flight we talked about the adventures I’d already had, and the many future adventures we were both looking forward to. I hope things work out for him. Maybe we’ll meet again on some future adventure. We arrived in Boston very late, and I was tired because I hadn’t slept on the flight. As soon as we got to our hotel north of Boston, I headed straight for bed. When I woke up in the morning, I couldn’t believe we were just outside of Boston. There were forests everywhere, and hardly any buildings. I thought about going for a walk, but after everything I’d done that week, I was too tired. In the end I decided to join my traveling companion for his meeting. To be honest, it was pretty dull. Most of the time I just relaxed and read until it was time to head for the airport and fly home. That night, my own small bed looked awfully good.